IIT JEE Advanced is conducted for admission in various undergraduate courses such as Engineering, Architecture, and Sciences. 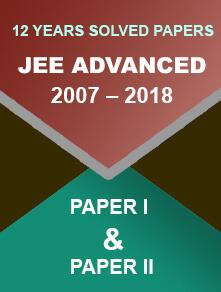 Only those candidates who qualify the JEE Main exam are eligible for the JEE Advanced exam. The exam is conducted on rotational-basis by the zonal IITs (Indian Institutes of Technology). 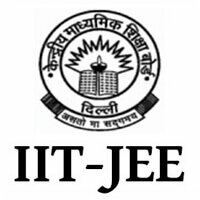 IIT Roorkee is the exam conducting authority for IIT JEE Advanced 2019. Check out more information on important dates, syllabus, exam pattern, application process, etc. in the article. The Application Form: How to apply? After the registration process, they need to fill in all the required information including name, father’s name, mother’s name, date of birth, email ID, contact number, educational details and centre of examination. Pay the requisite application fee. General category candidates need to pay ₹ 2600+ GST. Female candidates of all categories need to pay ₹ 1300+GST. And, SC/ST/PwD candidates need to pay ₹ 1300+GST. They must be Indian Nationals/OCI/PIO/Foreign national in order to be eligible for this exam. Their date of birth should fall on or after October 1, 1994. There is relaxation of 5 years in age for reserved candidates— SC/ST/ PwD. Candidates are allowed to take this exam two times consecutively only. 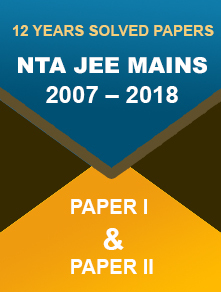 It is mandatory for them to in JEE Main 2019 for appearing in JEE Advanced 2019. They must get their ranks among the top 2, 24, 000 (including all categories) in Paper 1 of JEE Main 2019. They must have appeared for 12th exam for the first time in 2018 or 2019. If any Board declares the results for the academic year 2016-17 after June 2017, then under this condition, candidates of that board who appeared for their class XII exam in 2017 are also allowed to appear in JEE (Advanced) 2019. They should not have sought admission to any IIT, regardless of whether or not they continued in the program or accepted an IIT seat by reporting to the center in the past. Apart from this, candidates, whose admission at IITs was cancelled after joining any IIT, are not allowed to appear in JEE (Advanced) 2019. Candidates, who have been studying in a preparatory course in any of IITs for the first time in 2018, are allowed to take this exam. Candidates, who paid seat acceptable fee in 2018 but failed to report at any reporting centre or withdrew before the last round or seat allotment or had their seat cancelled for any reason before the last round of seat allotment for IITs during the joint seat allocation in 2018 are allowed to take this exam. General category candidates should have obtained at least 75% marks in 12th exam and SC/ST/PwD category candidates should have obtained 65%. Candidates must be within the category-wise top 20 percentile of qualified candidates in their particular 10+2 examination. Candidates, who appeared in class 12th exam in 2018 and reappeared in 2019, then under this condition, the best result of these two exams will be considered. Mathematics: Differential Calculus, Integral Calculus, Analytical Geometry, Trigonometry, Algebra and Vectors. Physics: General and Modern Physics, Electricity and Magnetism, Thermal Physics, Mechanics and Optics. Chemistry: Organic and inorganic chemistry and Physical Chemistry. AAT Exam: Three-dimensional perception, Geometrical Drawing, Architectural awareness, Freehand drawing, Imagination and aesthetic sensitivity. IIT JEE Advanced 2019 will be conducted through online mode only. It will comprise two papers—Paper 1 and Paper 2. Both papers need to be attempted by candidates. The duration of the exam will be three hours. For PwD candidates, some extra time will be given. There will be objective type questions. The papers will be set in both English and Hindi. Questions will be asked from three subjects—Mathematics, Physics and Chemistry. There will be negative marking. Admit Card: How to get it? It will be made available to candidates from the 2nd week of May 2019. Candidates can get admit card through online mode from the website. Candidates should note that they will not be allowed to enter the examination hall without carrying it. They must keep it safe to retain their identity. If it is damaged or mutilated, it may pose a big problem for them. The admit card contain all the important details such as name of the candidate, date of birth, gender, roll number, venue of the examination centre and date and time of exam. Along with the admit card, candidates need to bring any original ID proof. Candidates should practice the mock tests as it is the best way to feel easy with the type of questions asked in the exam. They should make a systematic schedule for self-study, covering all relevant subjects. Gather all the materials associated with the prescribed syllabus and start preparing them accordingly. They should solve previous years’ papers as many as they can. Finally, they should take a good diet to stay healthy and do revision on a daily basis. JEE Advanced 2019 Result will be made public during the 2nd week of June 2019 through online mode. Successful candidates will be able to check their All India Rank after declaration of result. Candidates should note that getting a rank in JEE Advanced does not confirm their admission to IITs or ISM. When will the online registration of IIT JEE Advanced 2019 begin? It is expected to begin during the first week of May 2019. When will the admit card be made available to candidates? It will be made available to candidates through the official website by 3rd week of May. They can download it from the website. I, a general category candidate, appeared in 12th board exam in 2016. Am I eligible for this exam? No, you cannot as there is a gap of three years. You can go for regional engineering colleges. I am a SC candidate and I scored 60% marks in aggregate. Am I eligible for IIT JEE Advanced 2019? No! For SC candidates, the least percentage of marks in aggregate is 65% and you are below it. What type of questions will be asked in IIT JEE Advanced—objective type or descriptive type? Objective type! There will be two papers—paper 1 and paper 2—of three hours duration each. The papers will be set in both languages for the convenience of students. As a result, both English and Hindi medium students can solve them. When will the results of IIT JEE Advanced 2019 be declared? It is likely to be declared during the 2nd week of June 2019 through online mode only.